Are you a surfer who is tired of being hounded by your mum or partner about your ever-growing collection of surfboards cluttering the house, garage or backyard shed? If so, a cool local event next month will give you the chance to offload some of your ‘babies’ and leave you happy knowing they’re going to a good home. 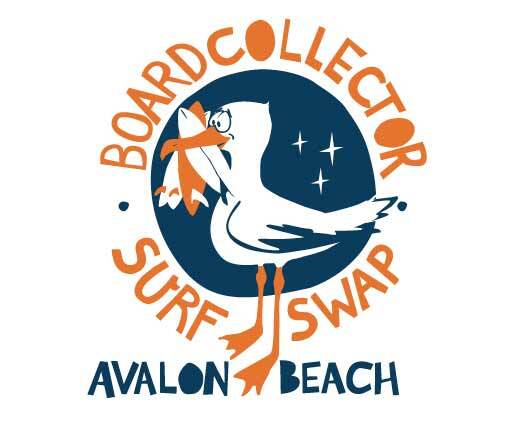 The first annual ‘Boardcollector Surf Swap Avalon Beach’ – staged in conjunction with the Avalon Palm Beach Business Chamber – hits Dunbar Park on Sunday April 9. Organiser Damion Fuller says that like every good vintage surf swap there will be pre-1990 surfboards for sale and to swap. “It will be a festival of surf culture involving vintage surfboard collectors sharing their collections, local surfboard makers showing their latest designs, local artists, craftsman, and businesses showing their wares plus gourmet food and drinks stalls,” he said. “The best part of every surf swap is the chance to pick up a new vintage stick or clean out the garage and turn the clutter into cash. Damion said the surf swap would also offer free vintage ‘Antiques Roadshow’ style surfboard appraisals by expert appraisers, with owners encouraged to bring down their “mystery” surfboards which would have their shape and design reviewed, plus the board’s history before a market value is calculated. The day will also highlight the best of today’s new surfboards and contemporary shapers, with previous events featuring shapers and surfer such as Hayenshapes (with Hayden Cox and Craig Anderson), DHD (with Asher Pacey), Channel Islands (with Wade Goodall), Misfit Shapes, Dead Kooks, Mick Mackie and more. Also, STAB Magazine will be hosting a free ‘Filmlyfe’ Film festival on the green of the Avalon Bowling Club, screening some rare gems from their rich archive and premiering exclusive Northern Beaches content. The green will feature gourmet food stalls and will be licensed. “It will be a day of boards, bands, beers and burgers, kicking off at 9am in Dunbar Park and running through till 9pm in the Avalon Bowling club,” Damion said. “In Dunbar Park there will a stage screen and bean bags on the grass to relax in and watch films and listen to Q&As with local surfing and shaping legends quizzed by guest MC Luke Kennedy, editor of Tracks,” he said. More than 50 stalls are available for businesses – including photographers, local artists, local clothing and accessories, plus coffee, food, craft beer and wine – to showcase their wares. Stalls (3 x 3 metres) cost $175 – or $150 if you are a member of the APB Business Chamber.